Fair minded voters must focus on getting a working knowledge of the judges who make decisions that affect our lives and futures. Too often, we know little about the judges we are asked to retain. 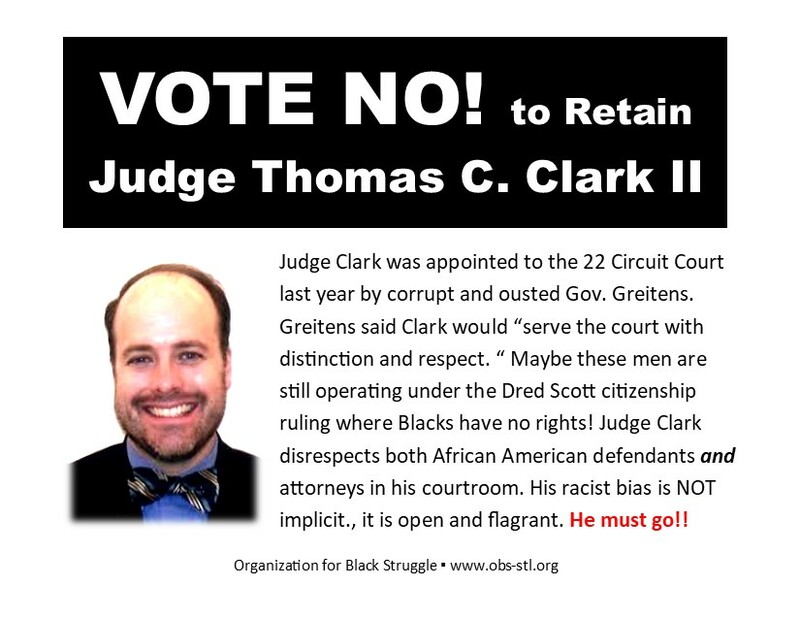 By voting No on Judge Clark, St. Louis voters will send a message that we will hold judges accountable.